As a global company, ETA has operated in 15 different countries and 45 of the 50 States of America. 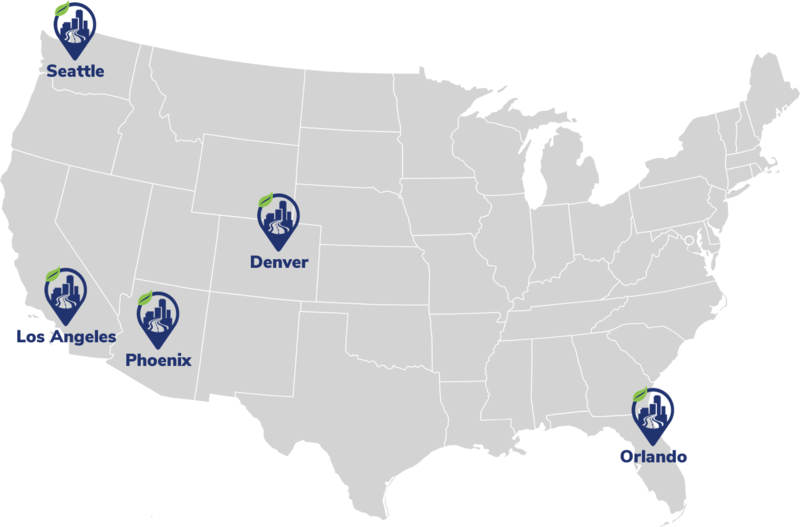 Our headquarters is in the Greater Seattle area (225 Lindvig Way, Suite 7A, Poulsbo WA 98370) with regional offices in Los Angles, Phoenix, Denver and Orlando. Listed above: Greater Seattle Area (WA), Phoenix (AZ), Denver (CO), Los Angeles (CA) and Orlando (FL).